State TV reports 21 of the country's 27 ministers have been replaced. Analysts say the reshuffle could be the start of the process leading to Mr Bouteflika's resignation. Following the protests, he has dropped plans to seek re-election. The elections have also been postponed and the government has promised to organise a national conference. 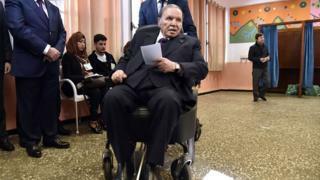 Now aged 82, Mr Bouteflika has rarely been seen in public since suffering a stroke in 2013. 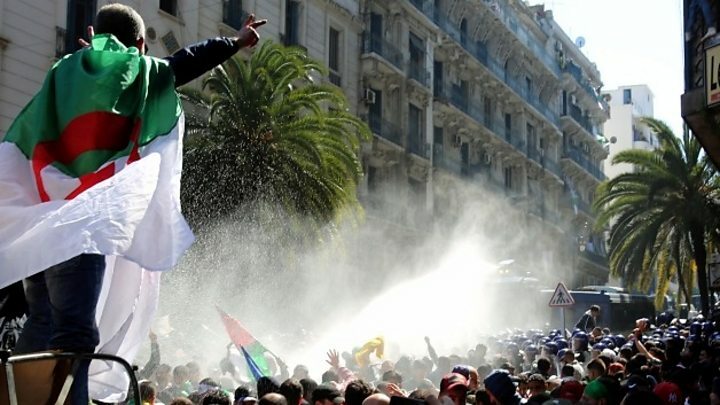 However, President Bouteflika has kept his title as defence minister, just days after Algeria's powerful army chief, Gen Ahmed Gaed Salah, urged the ailing president to stand down. Ali Haddad is one of the country's richest men and a long-time backer of the president. Under his tenure, the FCE backed the president's bid for a fifth term in elections scheduled for April - a position it later retracted as his popularity waned.